Emily Meilleur and Gail Quartly-Bishop. Please enter records via Cofnod (North Wales Record Centre) web site or email to Emily. Click to download the Rare Plant Register for Flintshire. It was published in 2008 and is currently being updated. 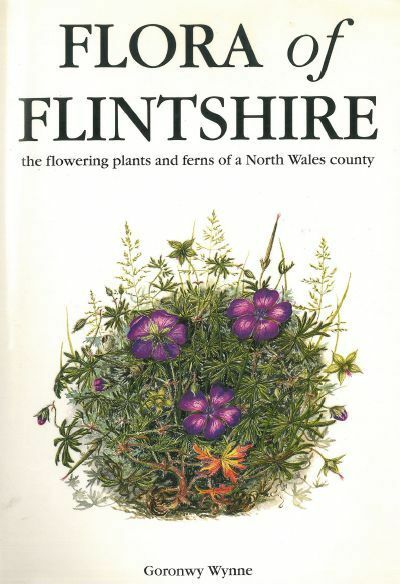 The Flora of Flintshire, by Goronwy Wynne, is available from Summerfield Books. Flintshire is a small county in the north east corner of Wales. 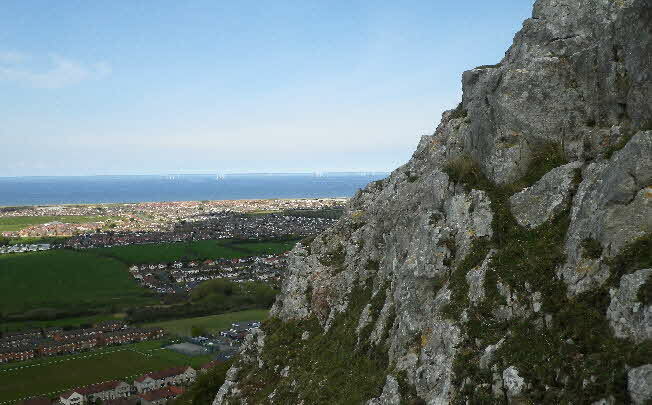 Bounded on the north by coast and the Dee Estuary and to the west by the Clwydian Hills. It has a diverse landscape with, the hills reaching 554 m and down to the lowlands in the east, where it boarders the Cheshire Plains. A range of habitats can be found: dunes, saltmarsh, limestone grasslands, disused lead mines, woodlands, lakes, rivers, moorland and industrial sites. *NEW* Please note the dates below for this year’s BSBI meetings in Flintshire. All meetings aim to explore the flora of under-recorded tetrads and contribute towards Atlas 2020 as well as improving our plant ID and of course having fun! All meetings start at 10am and we expect to finish around 4pm, unless otherwise specified. Joining instructions are available from Gail Quartly-Bishop. Meet at 10am at the Coach and Horses pub in Flint Mountain (SJ238704). Recommend to park in the village and walk up to the pub. We will explore woodland around the Afon Conwy and Nant-y-Fflint and look to re-find some historic records of ancient woodland species including moschatel, ramsons, wood anemone, alternate-leaved golden-saxifrage, bluebell, yellow archangel, wood melick, wood millet and sanicle, as well as lots of ferns. Meet at 10am at the end of Moor Lane, Holway, where there is a small parking area (SJ176767). If there is no room here, recommend to park in the village and walk up to the meeting point. We will explore woodland and grassland around the villages and look to re-find nettle-leaved bellflower, early purple orchid, goldilocks buttercup and a variety of other woodland species. Meet at 10am at the Prince of Wales pub in Pontblyddyn (SJ268602). Recommend parking in the village. From here we will head downhill to investigate the marshes in the valley of the River Alyn where lesser marshwort, lesser water-parsnip, large bittercress and various sedges and aquatic plants have been recorded. I will bring a grapnel. If there is time, we will spend the rest of the day pottering about in the fields above the village. Meet at 10am at the Cross Foxes pub in Nannerch (SJ166695). Recommend parking in the village. We will explore fields and lanes around the village, being careful not to stray into Denbighshire as this is a border tetrad 😉 Previous records we would like to to re-find include intermediate lady’s-mantle, giant bellflower, nettle-leaved bellflower, chaffweed, stinking hellebore, Solomon’s-seal and other woodland species. Meet at 10am at the Stag Inn, Bagillt (SJ219753). There is a small car park here; if it is full, please park in the village instead. We will explore the coastal path around the saltmarsh and the saltmarsh itself if tides allow. If we have time, we will then investigate inland habitats including urban, lane and grassland. Previous records include: lesser water-parsnip, lots of saltmarsh plants and various sedges and rushes. Meet 10am at Buckley railway station (SJ295633) where there is a small car park. We will explore the fields and lanes around the village and aim to refind fragrant agrimony and a variety of woodland/hedgerow species.